Do I have to be a powerlifter to join? Do I have to compete? No! Many of our members have not competed or do not wish to. They simply enjoy the process of training, improving their strength and health through barbell strength training! Do you allow casuals or drop-ins? Yes most certainly! Some people simply cannot make it on-site regularly enough for membership to be viable. Instead they often opt to train casually with us. First casuals are always free! Do you offer competition coaching for powerlifters? Yes, our coaching service is comprehensive. All of our members who choose to compete are coached on the day of their competition to maximise their performance! I have pre-existing injuries (back, knees, hips etc) – is it safe for me to train for strength? Absolutely! Learning proper movement mechanics and technique while increasing strength will help alleviate many of the pains, aches and injuries many of us suffer. Your training will be scaled to your ability and for what you can tolerate to improve your strength at an appropriate pace for your ability. Do I have to receive coaching as a member? Do you have a non-coaching membership option? No, we do not offer a non-coaching membership. Your training journey is important and it can be a difficult road to navigate. We are always on hand to help you with your training to whatever extent you need! Should I get stronger before joining? Definitely not! That is our job – to help you get stronger. Understandably, it can sometimes be intimidating to join a speciality warehouse style gym. Rest assured that there are no minimum standards in order to join. We have many novices walk through our doors who have never touched a barbell before joining. Our only prerequisite is that you have a willingness to learn and a desire to improve! Do you offer Olympic weightlifting? Powerlifting and general barbell strength training is our bread and butter. We do not have the facilities or expertise in Olympic weightlifting. We can suggest heading to http://www.awf.com.au/find-a-club to find a weightlifting club near you. How long do I need to train for before competing? Local competitions have no minimum standard before entry. As long as your technique is competent to perform the lifts according to the rules, you’re ready to compete! We’ll help you prepare for your first competition so that you’re ready and confident! What is the difference between crossfit and strength training/powerlifting? Crossfit is a sport that challenges athletes across a range of domains of fitness including aerobic fitness, balance, coordination, speed, strength, endurance and power. The physical challenge is constantly varied hence the name crossfit. Powerlifting on the other hand specifically focuses on strength across the three disciplines of the squat, bench press and deadlift. Is there a minimum age requirement before joining? No! Strength training is safe for people of all ages and competitors are often as young as 14. Our coaching staff also have current Working with Children’s check and often work with minors to establish correct technique and movement. Do I need to buy speciality equipment to train? No not at all. Strength training requires no speciality equipment at all. 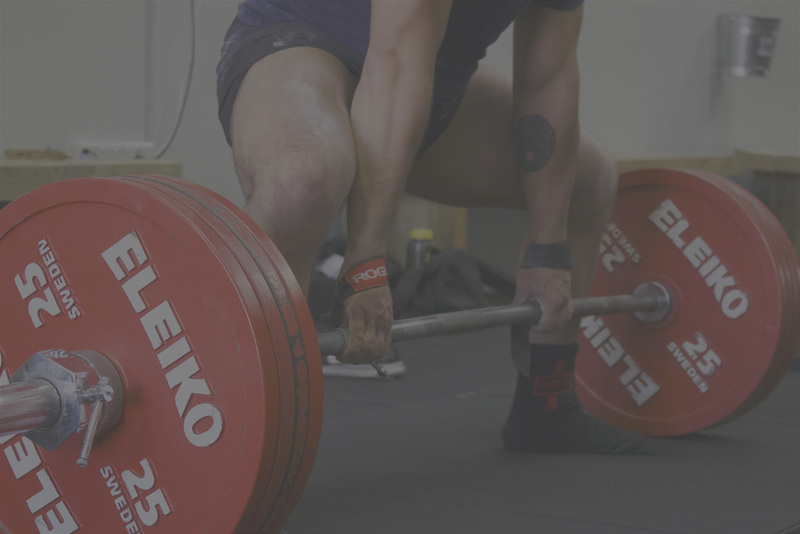 Many athletes choose to wear weightlifting belts, wrist wraps, knee sleeves and lifting shoes for comfort and to maximise their training however they are not a necessity. We do have communal equipment (including belts, wrist wraps etc) for beginners to try and experiment with if they wish. Absolutely! As Powerlifting Australia and NCAS accredited coaches, we are insured for professional and public indemnity for up to $5,000,000 and $20,000,000 respectively. Powerlifting is an extremely safe sport to train for with injury rates as low as 1.0 per 1000 training hours (Siewe, 2011). That said, strength training does carry with it an, albeit very small, degree of risk. We do our best to keep members safe and have a range of safety rules within the training environment to mitigate risk of injury for all. How do I get there? Is there public transport or adequate parking? We are at 16 Keith Street, Maidstone. The 408 (St Albans – Highpoint SC) and 406 (Keilor East – Footscray) pass right by us and we have plenty on-site and street parking available. Am I able to try on any of the SBD range before buying? Yes you can. We stock the entire SBD range and you’re more than welcome to come and try on any of the equipment before purchase to make sure you get the right size for you! Do you stock the Sabo shoes?